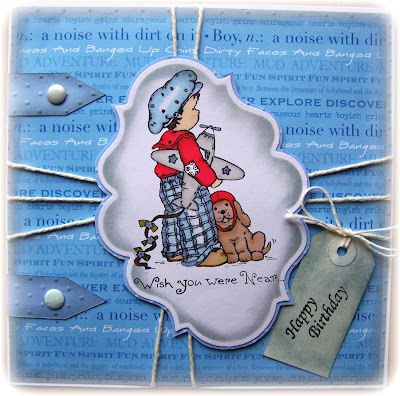 There is a great challenge this month folks on J & C Creations Challenge !! ANIMAL ANTICS DO COME AND JOIN US THERE IS A £20 VOUCHER TO SPEND ON THE J & C CREATIONS WEBSITE AS A PRIZE THIS MONTH. All of the Penny Black Stamp range from J & C Creations, are all fantastic and it is very hard to choose which one is my favourite. please check out the Penny Black Pages on the J & C Creations website for their huge range of these terrific stamps For this card I have used "Fly Away". How cute is he!!!! I have made this 8 x 8 card by using a blue backing paper with various wording written on it and made 2 tabs down the side to look abit like a book. I have cut the stamp out with a spellbinders die cut. 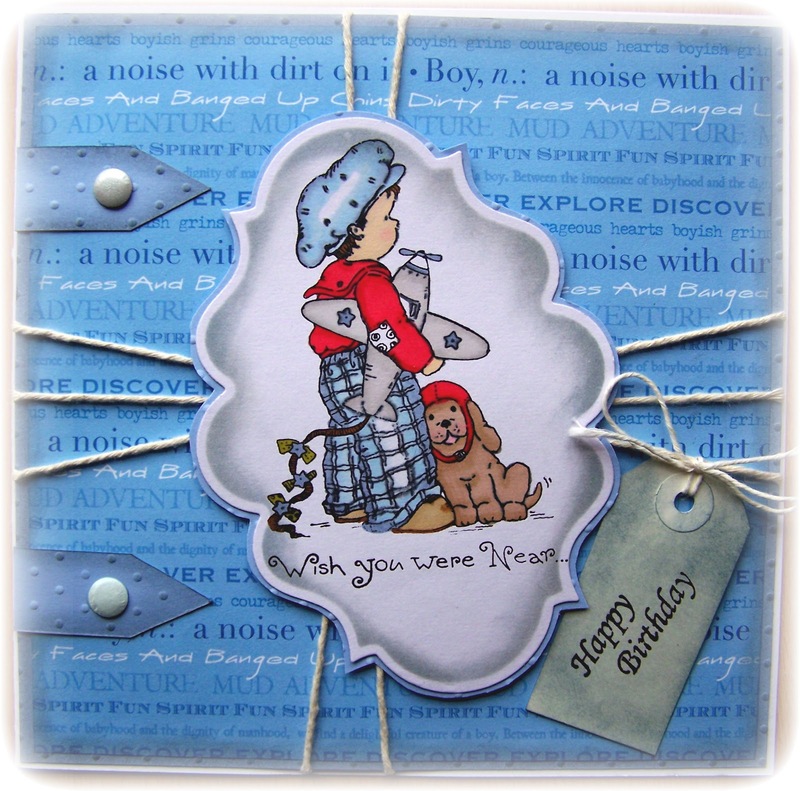 For the little added extras I have used candies, string and a tag with Happy Birthday stamped on it. To give the card a bit more depth I have distressed all around the edge using Tim Holtz distress inks colour weathered wood. All of my toppers are coloured in using promarkers.